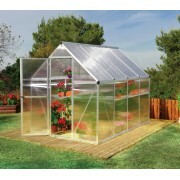 Clean, simple design. 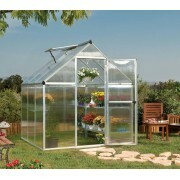 Mythos greenhouse merges a smart and clean design to create a simple assembly and improved use. 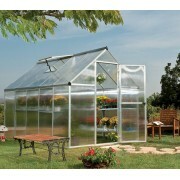 Panels slide into the Aluminum frame and are locked without any additional parts. 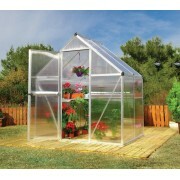 Mythos greenhouses include a galvanized steel base and a hinged door. 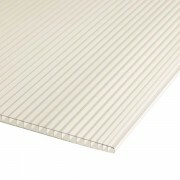 Twin-Wall Polycarbonate panel..